Here is a list of terms which you may not know. Alias - at another time. My name is Jeanie Smith alias Jones. At another time I called myself Jeanie Jones. Calendar Rolls (patent rolls) - The patent rolls comprise a register of the letters patent issued by the Crown, and sealed "open" with the Great Seal pendent, expressing the sovereign's will on a wide range of matters of public interest, including – but not restricted to – grants of official positions, lands, commissions, privileges and pardons, issued both to individuals and to corporations. The rolls were started in the reign of King John, under the Chancellorship of Hubert Walter. The texts of letters patent were copied onto sheets of parchment, which were stitched together (head-to-tail) into long rolls to form a roll for each year. As the volume of business grew, it became necessary to compile more than one roll for each year. Copyhold - Copyhold was a form of land holding that evolved from the Feudal system. The land was held from a manor. The tenant was given a 'copy' of the agreement. The rights and duties of the Copyholder differed from Manor to Manor. The copyhold lands could be inherited by the copyholder's children. See the wikipeida page on Copyhold for more details. Or see this definition of copyhold. Deforciants - One who wrongfully keeps the owner of lands and tenements out of them. Usually named in a Feet of Fine (see feet of fine). Diem Clausit Extremum - The phrase diem clausit extremum means he closed his last day, that is, he died. writ of Diem Clausit Extremum is a writ by which the heir of a deceased tenant in capite compelled the escheator to ascertain what land should escheat to the king. In feudal England, upon learning the death of a tenant, the escheator would hold an inquisition post mortem to learn if the king had any rights to the land. These were often preceded by a writ of diem clausit extremum issued by the king to seize the lands. Escheat - s a common law doctrine which transfers the property of a person who dies without heirs to the crown or state. It serves to ensure that property is not left in "limbo" without recognized ownership. It originally applied to a number of situations where a legal interest in land was destroyed by operation of law, so that the ownership of the land reverted to the immediately superior feudal lord. Fee-Tail - also known as In Tail or entail, opposed to Fee Simple, is a form of trust established by deed or settlement which restricts the sale or inheritance of an estate in real property and prevents the property from being sold, devised by will, or otherwise alienated by the tenant-in-possession, and instead causes it to pass automatically by operation of law to an heir pre-determined by the settlement deed. 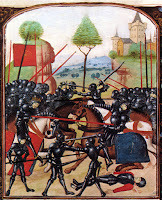 The term fee tail is from Medieval Latin feodum talliatum, which means "cut(-short) fee", and is in contrast to "fee simple" where no such restriction exists and where the possessor has an absolute title (although subject to the allodial title of the monarch) in the property which he can bequeath or otherwise dispose of as he wishes. Feet of Fines - sometimes Foot of Fines. At first glance this seems to be a record of a land dispute between the deforciants and the querent. In actuality it was a method of property conveyance that took the form of a fictitious lawsuit. The deforciants had already decided to sell his land to the plaintiff or querent. The court would issue a fine and give each party a written copy which in turn became a land deed. This was a preferred method of proving land ownership. Feodary - A feudal tenant. Frank Alomain - Frank almoin is a term of French law that means “free alms.” It is a type of tenure that existed under the Anglo–Norman law. It refers to the spiritual tenure by which a religious institution held land with a general duty to pray for the donor. This type of tenure implied an indefinite promise to pray for the soul of the donor. This tenure differed from the tenure by divine service, which required specific church services, such as a certain number of masses or alms distributions. The land held in frank almoin is called Alms land. Gifts to religious institutions in free alms were defined first as gifts to God, then to the patron saint of the religious house, and finally to those serving God in the specific house. Frankalmoin is also reffered to as almoign, almoin, free alms or libera eleemosyna. Free hold - ownership of the land and all immovable structures on it. Hide - An Anglo Saxon term meaning the amount of land needed to support a free peasant family. The acreage was not yet fixed but was usually somewhere between 60-120 acres. Inquistion Postmortem (IPM) - is a local inquiry into the lands held by people of some status, in order to discover whatever income and rights were due to the crown. Such inquisitions were only held when people were thought or known to have held lands of the crown. Messuage - a dwelling house and outbuildings, with land assigned to it's use. Moiety - a fraction or share of land, i.e. one half, two thirds, etc. usually seen when land was divided between heirs. Patron of the Living - Advowson (or "patronage") is the right in English law of a patron (avowee) to present to the diocesan bishop (or in some cases the ordinary if not the same person) a nominee for appointment to a vacant ecclesiastical benefice or church living, a process known as presentation (jus praesentandi, Latin: "the right of presenting"). In effect, an advowson is the right to nominate a person to be parish priest (subject to episcopal approval), and such right was often originally held by the lord of the manor of the principal manor within the parish. Reversion -A reversion in property law is a future interest that is retained by the grantor after the conveyance of an estate of a lesser quantum that he has (such as the owner of a fee simple granting a life estate or a leasehold estate). Once the lesser estate comes to an end (the lease expires or the life estate tenant dies), the property automatically reverts (hence reversion) back to the grantor. 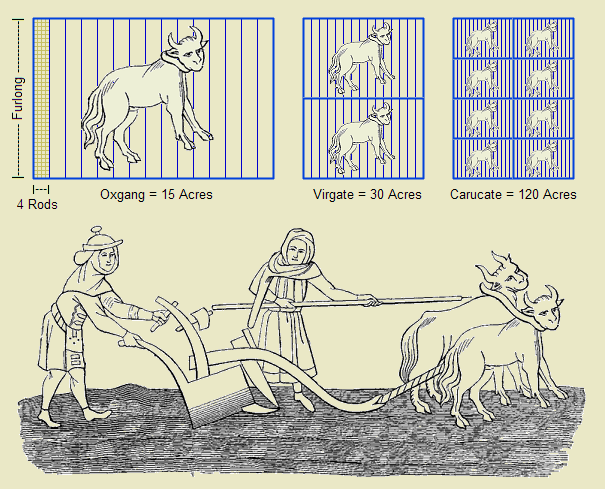 Socage - a feudal tenure of land involving payment of rent or other nonmilitary service to a superior. The well known Puritan Minister Cotton Mather, wrote that Roger was killed "in the wars" when his two children were small. I know that may writers have tried to pin down exactly what battle he was killed in, but as far as I know that has not be determined. He may have died at the Battle of Zutphen, in the Netherlands. 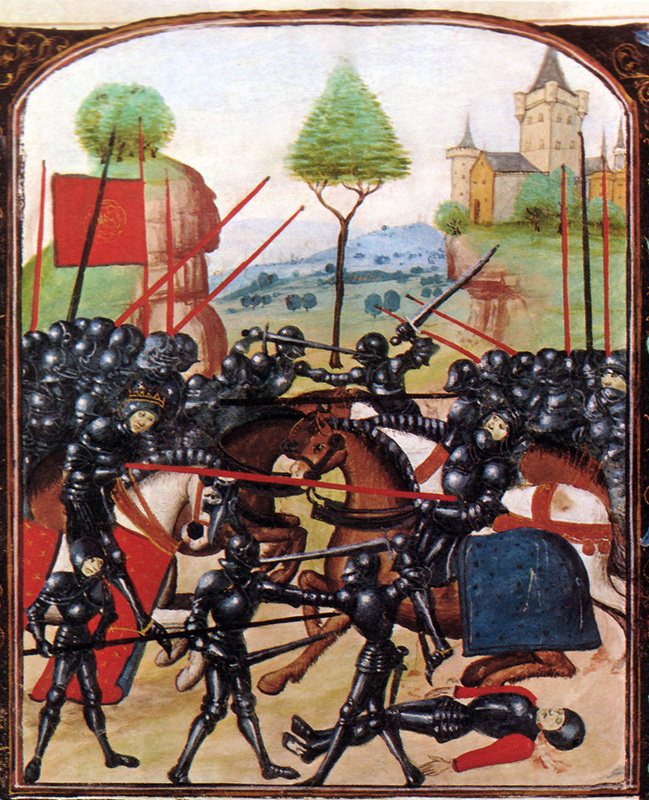 This battle was led by the Earl of Leicester, Robert Dudley, and in which Sir Philip Sidney was killed. 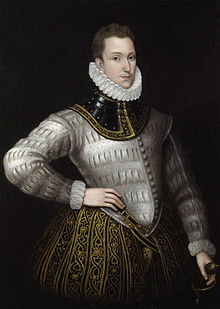 Philip Sidney was related to the Dudleys by birth, his mother the sister of Robert Dudley, Earl of Leicester and favorite of Queen Elizabeth. In 1650 a book of poems written by Thomas Dudley's daughter Ann Bradstreet was published in London. One of the poems was an Elegy to Sir Philip Sidney. In this poem she writes that she has the "self-same blood" as Philip. It appears that she was implying that she was related by blood to Philip Sidney and through him his Dudley ancestors. In 1678 the poem was republished in Boston and the wording was changed to "English blood." Why the change? Was she saying they shared the same blood as in family or had she really meant the same English blood as in we are both of strong English stock? When Thomas Dudley died in 1653 he used his seal on his will. The seal on his will, "shows the coat of arms which formed the basis for the arms of Dudley House (or, a lion rampant vert, clawed and langued gules and with teeth and eye argent, surrounded by a bordure gules)". The use of this seal is seen as a confirmation that Thomas somehow descended from this family. The question remains, who was Roger's father? Boy, if RCA says there's no proof, i'm going to have a hard time trusting other researchers who say they know otherwise. All sorts of ancestry has been drawn up for Roger Dudley over the years, including Drapers, Sergeants of Pastry and illegitimate children. The latest version of his ancestry was complied by H. Allen Curtis. He contends, through a process of elimination, that the parents of Roger Dudley were Henry Dudley and his wife ____Ashton. This is based solely on Thomas Dudley's use of heraldry of the Sutton Dudleys. I am guessing that this is why RCA doesn't see it as proof as there is no actual documentation involved. Here is a link to the H. Allen Curtis Article on the ancestry of Roger Dudley. I know next to nothing about Heraldry, so I cannot pass judgment on his case. The website The Peerage traces the family through Henry Dudley and his wife, the daughter of Sir Christopher Ashton. Unfortunately, there are no documented children. "England Select Marriages, 1538-1973," database, Ancestry (https//:www.ancestry.com : accessed 24 April 2016) entry for the marriage of Roger Dudley and Susan Thorn on 8 June 1575 at Lidlington, Bedford. Cotton Mather, The Life of Mr. Thomas Dudley, several times governor of the colony of Massachusetts, (Cambridge: Press of J. Wilson and Son, 1870), 5. Author Unknown "Thomas Dudley and Dudley Family," The Harvard Computer Society (http://www.hcs.harvard.edu/~dundergr/history.html : accessed 24 April 2016). Robert Charles Anderson, The Winthrop Fleet, (Sabine, Michigan : McNaughton and Gunn, 2012) 285. H. Allen Curtis, "Roger Dudley's Father Proved to be Captain Henry Dudley," Roger Covalt's Web Site (http://www.covalt.org : accessed 24 April 2016). I was intending for my next blog post to be about the ancestry of Thomas Dudley, one time Governor of the Massachusetts Bay Colony. It is still in the works but I got sidetracked by the ancestry of his wife Dorothy Yorke. Her ancestry on wikitree caught my attention and I had to stop and reroute my research her way. I was looking at her ancestors profiles on wikitree and found them to be unsourced past that of her father Edmund Yorke. A quick look at ancestry and other web based sites show a variety of ancestral choices. Whose right, whose wrong? Let's look at our options. what do we know about edmund? what do other people think they know? 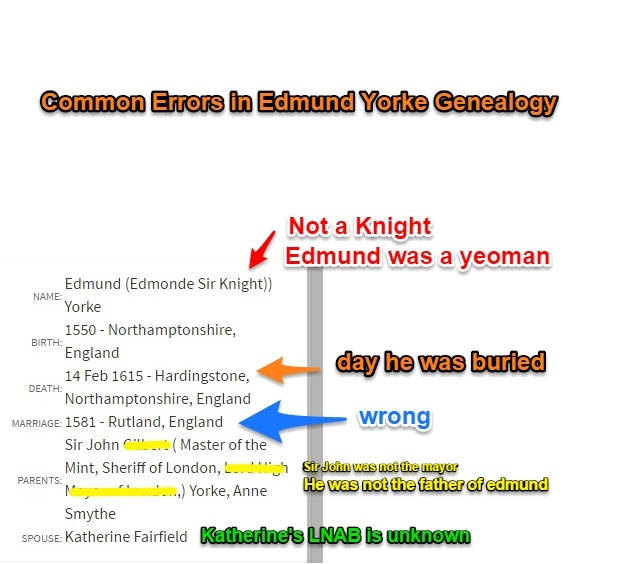 Most of the trees on ancestry.com and at least one commentator on Edmund's wikitree profile believes that Edmund's parents were Sir John Yorke and his wife Ann Smith. There are other trees with slight variations; John Gilbert Yorke and his wife and Gilbert York and wife. One other couple listed as his parents are Richard Yorke and his wife Joan Darcy. The Wikitree profile shows a Gilbert Yorke as father and Amy Bond as mother. Are any of these right? I can see why this couple would be a popular choice for parents of Edmund. Sir John was Master of the Mint in London, member of Parliament and close friend of Edward de Vere, Earl of Oxford. He was the great grandson of Sir Richard Yorke, Mayor of Yorke. John married Anne, the daughter of Robert Smythe of London. 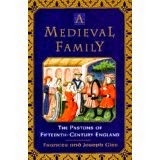 John's sister Margaret married Bernard Frosbisher and their son was the explorer Martin Frobisher. John and Anne did indeed have a son named Edmund. Unfortunately, he was not our Edmund. 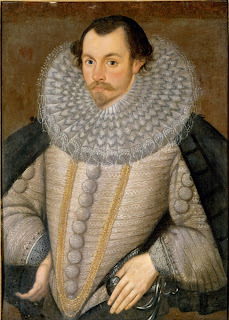 Edmund Yorke was the third surviving son of John and Ann. He married Margery Worley by 1572. 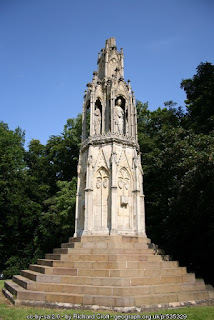 She was the daughter of Richard Warley of Middlesex. The couple had four children; Edmund, Edward, Marie and Aubrey. He wrote his will in 1585 calling himself Edmund Yorke, Esq. of Middlesex in London. His will was probated by his son Edward on 22 March 1597. Clearly, this is not Edmund of Cotton End. On 16 May 1557 Gilbert York married Amy Bond at St. Michael Cornhill in London. That is all we know about this couple. How did we make the jump from this marriage to connecting them with Edmund of Cotton End. I have no idea. Well, actually I have an idea. A web based family tree called Adupree.com claims that Gilbert York was from Hardingstone and married Amy Bond. Proof of this seems to come from a mention in a book called The three voyages of Martin Frobisher in search of a passage to Cathay and India by the north-west, A.D. 1576-8. Martin Frobisher was an English explorer who was looking for the North-West passage. One of his fellow Captains was Gilbert York. Martin was a darling of the Elizabethan Court and his voyages were funded by wealthy English "Venturers" who put up the capital in hopes of making a profit. One of the "Venturers" listed in the book was William Bond. Martin Frobisher was also nephew of Sir John Yorke and Ann Smith, making him a cousin of the above mention Yorks. Although this is all very interesting and I enjoyed reading about Martin Frobisher, it has nothing to do with Edmund York of Cotton End. Now in adupree's defense, the author does state that any name that is in all caps is dubious and without proof. This warning seems to have been ignored by many researchers. If your interested in Gilbert York, the adupree site list his father as Edward/Edmund York of Bugmore and his wife Grace. All names in caps, so we know there is no proof. This is the same ancestry given on wikitree. I think it's wrong. I found a probate for a Gilbert Yorke whose estate was probated in June 1596, he died at sea! His entire estate went to the children of his deceased brother George York of Crondall, Hampshire. Gilbert and George were the sons of Sir Thomas Yorke of Ashby de la Launde, great grandsons of Sir Richard York. George and his wife Mary lived at Crondall in Hampshire. Whether I'm right or not doesn't really matter, it doesn't get us any closer to who was the father of Edmund York. So, who was the father of Edmund York, I don't know. enough about dad, who was mom? Edmund's wife, at the time of his death, was a woman named Katherine. Was she the mother of his children? We don't know. Her surname is frequently said to be Fairfield. I cannot find anything that would lead me to believe that this is correct. What I did find was a marriage of Edmund York of Hardingstone to a Katherine Robbins on 7 September 1568. Dorothy Yorke was born in 1582, this could well be her mother. But I don't have any proof. A woman named Katherine York made a nuncupative will (a verbal will) and died in 1633 in Northampton. 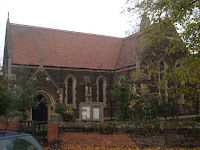 The witnesses of her will were the Vicar of All Saints, the Parson of Abingdon and another man. All of her goods went to a Baker and two other men whom she owed money. If she was our Katherine, I say if because there is no proof of this, then she was an elderly woman by then. She was probably being taken care of by these men in exchange for her estate. Irene Cassidy, "YORK, Sir John (d.1569), of York and St. Stephen Walbrook, London," The History of Parliament, database, (https://www.historyofparliamentonline.org : accessed 19 April 2016), entry for Sir John Yorke member of Parliament in 1559. "England Select Marriages, 1538-1973," database, Ancestry (http://www.ancestry.com : accessed 19 April 2016) marriage entry for Guylberte Yorke and Amyee Bonde, 16 May 1557, St. Michael, Cornhill, London, England. Richard Collinson, The Three Voyages of Martin Frobisher, (London : The Hakluyt Society, 1867). Collinson, The Three Voyages of Martin Frobisher. "UK, Extracted Probate Records, 1269-1975," database, Ancestry (http://www.ancestry.com : accessed 19 April 2016) entry for probate of Gilbert York, June 1596. The Publications of the Harleian Society, Vol 52, (London: Publisher not specified, 1904) 1124-1125. 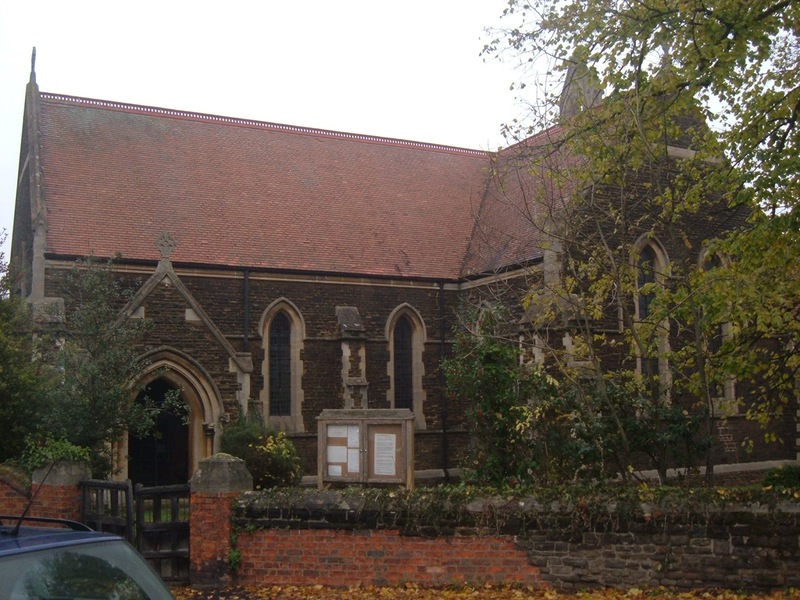 "Northamptonshire, England, Church of England, Baptisms, Marriages and Burials, 1532-1812," digital images, Ancestry (hppts://www.ancestry.com : accessed 20 April 2016) citing the parish registers of Hardingstone, marriage of Edmonde Yorke and Katherin Robins, 7 September 1568.